Ask Rich and the girls, and they will know exactly what I mean when they ask, “What’s for dinner?” and I say, “That Ground Beef Dish.” It has been a staple on our weekly menu for at least 25 years. I think everyone has a family recipe that has its own secret code name. Anyway, it’s an easy skillet dinner that evolved one day while I was searching through my cabinets for ingredients that would pair nicely with ground beef. It has taken on slight changes over the years for one reason or another. The big change thus far has been substituting ground turkey for ground beef. I have also upped the spice factor! – In large nonstick skillet, brown ground beef, onion, jalapeno pepper and garlic. – Stir in stewed tomatoes, corn with its liquid, barbecue sauce, water, salt, chili powder, red and black peppers; heat to boiling. – Add pasta and reduce heat. Cover and simmer until pasta is tender, about 8 to 10 minutes. – As mentioned, you can substitute ground turkey for ground beef. You may have to brown the ground turkey in a little vegetable oil. 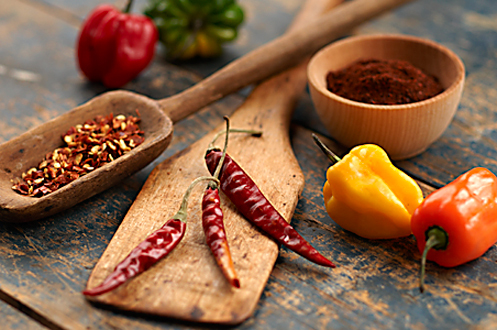 – If you do not want the bold flavors, eliminate the chili powder and the crushed red pepper. Sometimes I opt for the plain and simple. – Try different pasta. I’ve tried wheels, rotelle, fusilli, cavatappi (curly elbows). – I love using Kraft Original Barbecue Sauce, but you can use your favorite. That said, there are definitely some lemon bar recipes that are better than others. I am always looking for the perfect combination of crumbly shortbread crust and just-tart-enough filling. Well, my search for the perfect recipe just came to an end. 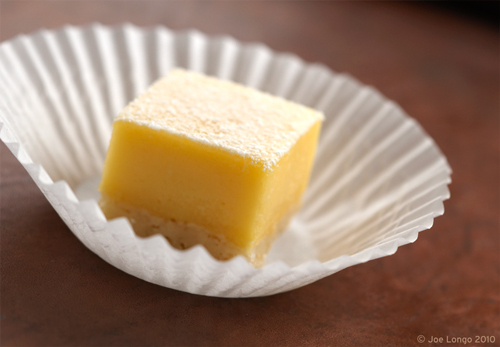 While perusing the frozen dessert section of Trader Joe’s the other day, I noticed a sweet little package of lemon bars. Hmmm, I thought. I should try these. Am I glad I did! They are delicious—not too tart, not too sweet, not too crumbly, not too sticky, and not too many calories either. Just 80 per serving, made with natural ingredients. Not only are these bars fully baked and pre-cut, they are adorable and look completely homemade. And they pass the taste test! Try them, you will not be disappointed. These bars would make a perfect Easter dessert. For a pretty presentation, arrange them on a flat white plate and garnish with small blossoms of pansies or johnny-jump-ups. Sweet! I tell you, without a kitchen, my new found friend is the Crock-Pot. I made Pork Chops with Sauerkraut, a blast from the past from my childhood! My Mom used to make this in the oven. When I was a kid, I wouldn’t touch it, but today — I love it. And in the Crock-Pot, the pork is so tender, it slips right off the bone. Caraway seeds and bacon– my secret ingredients!!! OK, I know that bacon is not the best thing for you, but boy, does it add great flavor. You’ve got to live sometimes!!! 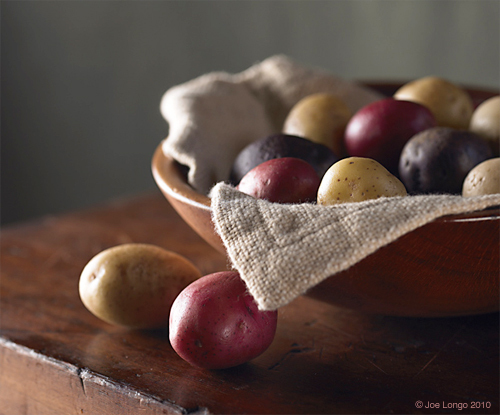 – I added some baby potatoes, halved to the sauerkraut mixture. You can also add sliced carrots. – If you are not a caraway seed fan, just eliminate them. – Use turkey bacon if you don’t want the extra fat and cholesterol. – Recipe can be doubled to make 4 servings. – Cook bacon in skillet until crisp, reserve bacon drippings. – In 5 to 6 quart Crock-Pot, place sauerkraut, onion, brown sugar, caraway seeds and black pepper. Crumble bacon over sauerkraut mixture and add reserved bacon drippings; stir well. – Place pork chops over mixture. Cover and cook on LOW 7 to 8 hours. My husband Rich and I have been trying to eat healthier. No more bacon, egg and cheese sandwiches for our weekend breakfasts! I’ve discovered steel-cut oats. I love the texture of the oats—nutty, crunchy, so good ! They are the healthiest variety of oats, but also take the longest to prepare. Crock-Pot to the rescue!! Since it’s just the two of us for breakfast, I purchased a small Crock-Pot just for the oats—a 1 1/2 to 2-quart size works great, plus they are inexpensive. I start the oats the night before and have a healthy breakfast in the AM. I add lots of good toppings, too! – Be sure to spray the inside of the Crock-Pot with vegetable cooking spray. If not, the oatmeal forms a sticky crusty coating on the sides of the Crock-Pot. – Add dried fruit such as cranberries, blueberries, raisins, pineapple, apricot, apples—the combinations are endless. – Add nuts, flax seeds, toasted wheat germ, granola—be creative! – You can also add fresh fruit. If I do, I get up a little early and add it about 1/2 hour before the oatmeal is done. – If you have a large family, use a larger Crock-Pot and double or triple the recipe. To make a smaller amount as in this recipe, it is important to use the right size (smaller) Crock-Pot as specified above. – Spray inside of 1 1/2 – 2 quart crockpot with vegetable cooking spray. – Place all ingredients in Crock-Pot. Cover and cook on LOW for 8 hours. I caramelized a large onion in 1 tablespoon each vegetable oil and butter. Add a sprinkling of sugar, salt and black pepper. Saute over medium heat until onions start to get a brown caramelized look. Add 1/2 head green cabbage, shredded and saute until softened. Stir in about 1/3 cup chicken broth and 1/4 teaspoon caraway seeds; cover and cook over low heat until mixture becomes very tender. Meanwhile, cook about 3/4 cup whole wheat egg noodles; drain and stir into cabbage mixture. We ate it in no time! I wish I made more for leftovers. Oh well, next time. I forgot to mention another great tip I got from my friend Melanie. When we all got together last Friday night, besides the Vita-Mix machine, she also brought the Magic Bullet, a powerful compact blender. I’ve mainly used mine for making Pina Coladas but she whipped up heavy cream in a flash! All she did was pour heavy cream, a little sugar and a splash of pure vanilla extract into the container of the Magic Bullet, gave it a whirl. We had perfectly (or I should say magically) whipped cream for our berry dessert. If you own the Magic Bullet, you’ve got to try it. I was skeptical but it really worked. No need to pull out your mixer! You just have to watch when you make it. It whips the cream so fast, you don’t want to turn it into butter. When you are doing it for the first time, you might want to pulse it so it whips the cream slowly.